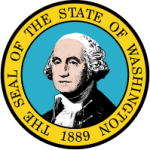 When it comes to enforcing child support in Washington, the division of child support is able to handle any form of case for the custodial parents. Whether they want to start asking for support from the noncustodial parent or want to file a complaint of a defaulter, they can help you do all that. For the latter, you will be required to undergo an application process. When you establish that payments are not being made by the paying parent, you have to act fast. It helps the investigators in the division of child support to quickly identify with your situation and thus easy to find a solution or enforce an order.